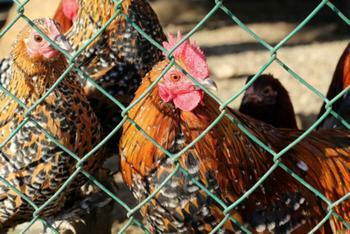 The Centers for Disease Control and Prevention (CDC) has issued a public warning to consumers who keep backyard flocks of live poultry, saying that the birds have contributed to eight outbreaks of Salmonella that have spread across 47 states so far this year. The agency says it has tied 372 Salmonella infections to backyard flocks, and that the number is likely to grow in the coming months. “Many people continue to purchase live poultry and continue to be exposed to Salmonella germs as they tend to their backyard flocks. Some of these birds can have a long life expectancy,” the agency said. Of the 372 infection cases, the CDC says that 36% were experienced by children under the age of 5. Seventy-one cases resulted in symptoms that were so severe that they warranted hospitalization. In these cases, contact with live poultry constituted any interaction with chickens, ducks, or geese, which may have come from several different hatcheries. Not eating or drinking near the birds or allowing them near your face or mouth. If you or someone you know has had contact with any live poultry and are showing symptoms of Salmonella infection – which include diarrhea, fever, and abdominal cramps – you should seek medical help right away. Salmonella infection, otherwise known as salmonellosis, usually lasts anywhere from 4-7 days and is usually not fatal; however, in some cases dehydration can become so bad that it becomes life-threatening. To learn more about the outbreaks and for more tips on how to stay safe, consumers can visit the CDC’s site here.